Drink one cup in the morning before breakfast. Take one sachet and mix it with a cup of boiled water. For better results drink liters of water throughout the day. 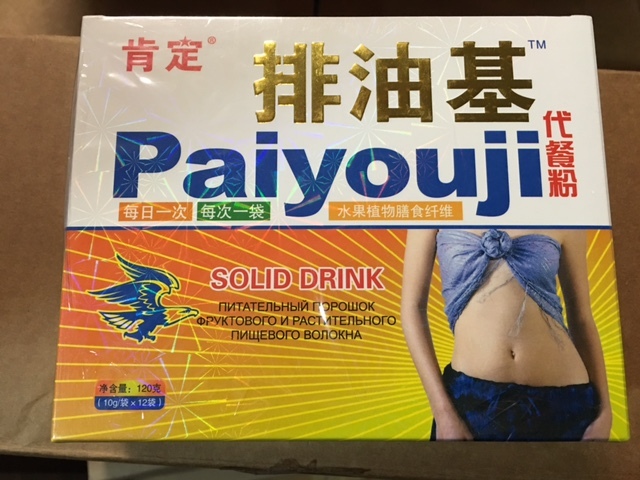 Paiyouji is a fast acting herbal slimming tea, which is based upon a proven herbal slimming remedy. Paiyouji is a weight loss tea designed to be used as a part of a healthy calorie controlled, low fat diet, coupled with an exercise plan for best results to help boost your weight loss. 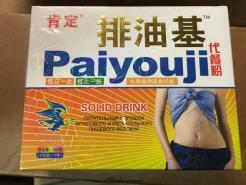 Paiyouji is not just a miracle slimming tea or a crash diet. It is all about taking a careful measured approach to your health. Taken together with a balanced diet and regular exercise the results will be long lasting and easily sustainable. Losing weight and keeping it off can not only improve your general well being but can help reduce your risks of serious health problems, such as a diabetes, heart faliure and strokes, to mention a few. Paiyouji tea is not just apppetite supressant. *It targets your excess fat. It works by stopping some of the fat you consume from getting absorbed into your body. Many people have felt different after just seven days of use. 18 sachets in each box. 1 sachet per day. Take 1 sachet and mix it with a cup of boiled water every morning before breakfast. For better results drink two liters or water throughout the day. body you always DREAMED of. THIS PRODUCT IS NOT RECOMMENDED FOR PREGNANT WOMEN OR BREAST FEEDING MUMS, ALSO THIS PRODUCT DOESN'T SUIT ALL. IF YOU HAVE AN ILLNESS PLEASE CONSULT YOUR DOCTOR BEFORE TAKING. ALWAYS READ THE LABEL. SUITABLE FOR ADULTS (18+ YEARS).